Once, during a particularly tough trial our family was facing, my husband saw an image of Pinkie (above right) in prayer. At the time, we had no idea what God was trying to say. Being artists and art lovers, we decided to dig a little deeper. What we discovered profoundly changed our lives. We stumbled upon a very unique relationship between The Blue Boy (above left) and Pinkie. Like many, we’d seen them together many times throughout our lives. My husband’s mother had replicas of both on display in his childhood home. It was this image that God called to his remembrance in prayer. These two works of art have been displayed together over the years on everything from drink coasters and magazine ads to esteemed exhibits at the Pageant of the Masters in Laguna Beach, CA. Even the set designers of the TV show Leave It To Beaver frequently paid homage to their special bond. I’d studied The Blue Boy masterpiece by Thomas Gainsborough in school. Being widely known as the most famous work by a British artist, it’s masterpiece status is questioned by none. In 1921, The Blue Boy was sold to American railway pioneer Henry Huntington for a record setting $640,000. To keep things in perspective, this $640K was equivalent to over 8.5 million dollars today. Here’s where it gets interesting. Because the two works of art are frequently displayed together, many erroneously believe both to be masterpiece works of Gainsborough. The truth is…Pinkie isn’t even considered to be a masterpiece at all. She was painted 25 years apart from The Blue Boy by another notable British artist named Thomas Lawrence. Lawrence’s works, unlike that of Gainsborough, would never achieve masterpiece status in the art world. In fact, Pinkie would become the most notable of Lawrence’s works due to her connection with Gainsborough’s The Blue Boy. Pinkie and The Blue Boy weren’t associated until 1927 when she was purchased by The Blue Boy’s owner, Henry Huntington. She was immediately put on display facing The Blue Boy where she remains to this day. I’ve come to call her resting place the Gallery of Grace. Because of her relationship to The Blue Boy masterpiece, she has been heralded alongside him on exhibit at the Pageant of the Masters time and again. My point, and more importantly God’s point in the midst of our struggle, is that Pinkie didn’t need to be a masterpiece after all. She has experienced every honor and esteem possible in the art world solely because of her relationship to the Master. We realized, like Pinkie, we are esteemed and lifted from obscurity because of our relationship to Him and Him alone. The Syrophoenician woman understood the significance of being in close proximity to the Master. Incredible things happen at the feet of the Master. He can take us to unimaginable heights if we’ll only do what Pinkie has done…remain in the presence of the Master. The splash-over blessing (crumbs) of His glory is more than enough to accomplish anything in this life. He will take you from the prison to the palace Joseph. He will move you from the lion’s den to the King’s advisory panel Daniel. He will lift you from captivity to the throne Queen Esther. You need no one and no thing save a relationship with the Master! It’s the strength of our prayer that matters…not the length. Lengthy prayers are a sign of unbelief. 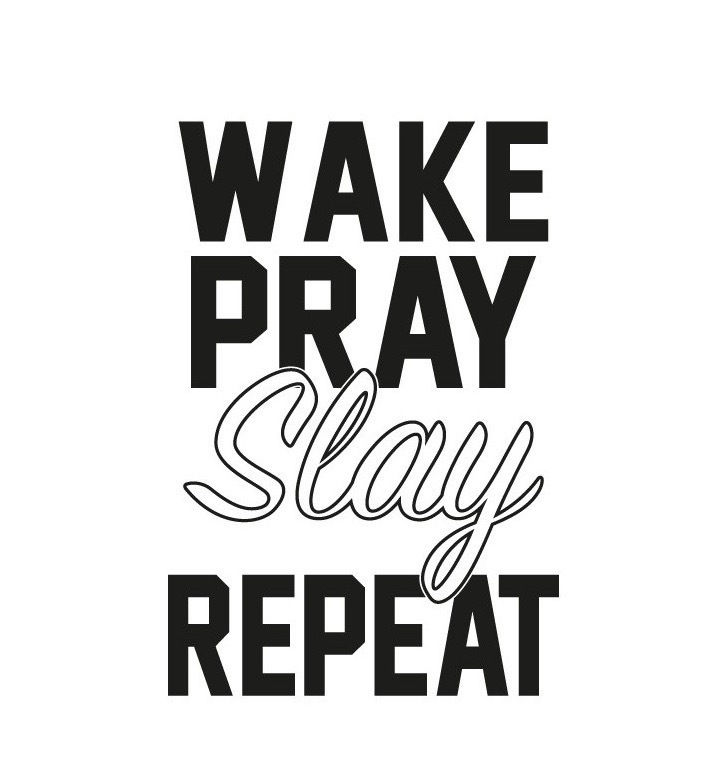 Christian, your words have power…so pray n’ slay today!